Christmas windows in New York... no expense is spared. Macy's of New York at Christmas. New York is the greatest three-day town on earth. When those days coincide with the holiday season, that's true with bells on. 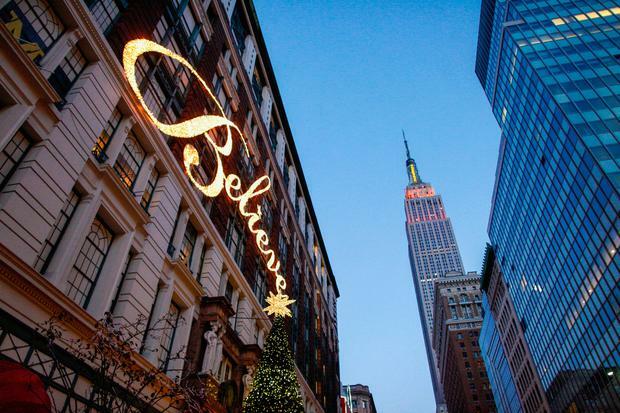 There's simply nothing like the Big Apple at Christmas. 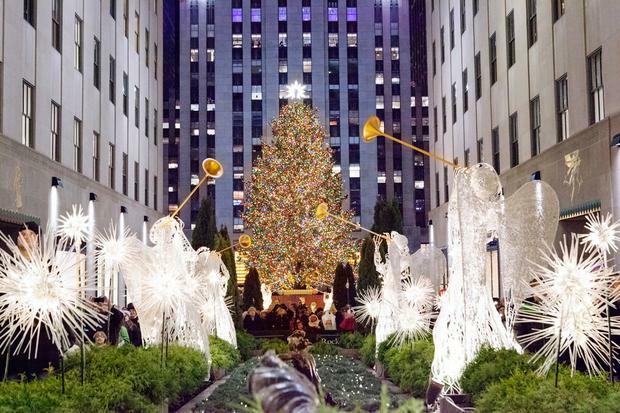 From grown adults giggling on ice-rinks to glittering windows, Broadway shows and (if you're lucky) snow in Central Park, it's a guaranteed mood-lifter. 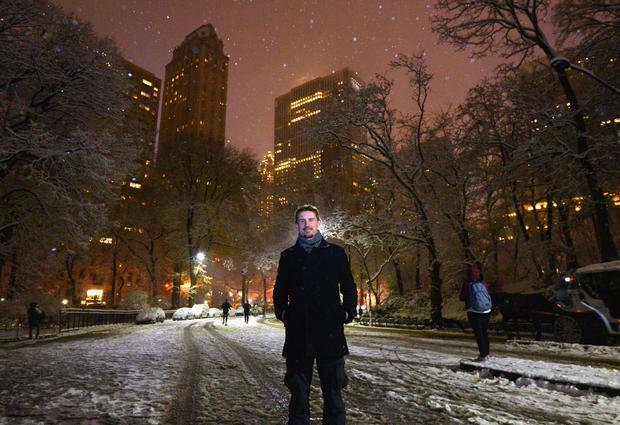 New Yorkers may grit their teeth and push through the out-of-towners, but even they know that there's magic in the air. • Skating at New York's iconic rink starts from $27/$15. It’s surprisingly small, but brilliantly atmospheric (therinkatrockcenter.com). • Fancy a splash? A VIP tent (from $60pp) has private seating, hot chocolates, cookies and a little bit more instruction on hand if you're into an upgrade. • I hadn’t skated in ages, but ramped up with a few tips (lean forward, bend the knees, take small steps...) and soon got up and running. • The tree has a rich history. During the Great Depression, workers lined up beneath it as the Rockefeller Center was being built, and you may remember it featuring on TV as a focal point for the city in the days after 9/11. • Department store windows are a holiday tradition in NYC, kicking off after Thanksgiving. People travel from all over the US (and beyond) to put their noses up against the glass… no expense is spared. 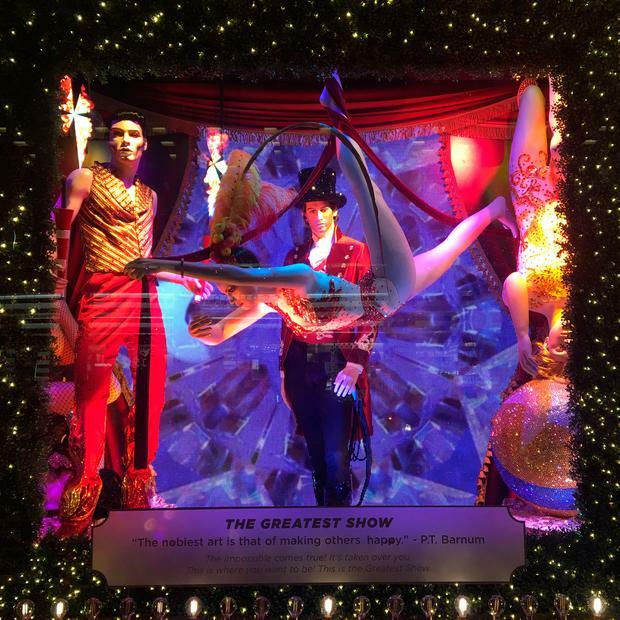 • Last year, Bloomingdale’s has a display based on PT Barnum’s circus and freak shows (above)… you could take photos of yourself and see them whirl around the windows. For 2018, the luxury retailer is taking inspiration from Dr. Seuss' The Grinch. • Macy’s 2018 displays are titled 'Believe in the Wonder of Giving, with a brand new character in Sunny the Snowpal. Don't forget to step inside, either - the world's biggest store offers a 10pc discount if you produce your passport. • Tiffany & Co. has displays based on its workshops, but the pick of the bunch is Saks Fifth Avenue, where a music and light show illuminates the whole façade of like a Disney fireworks display... 'Theater of Dreams' is the window display theme. • There are Holiday Markets all over Manhattan – including huts at Columbus Circle, Times Square, and upmarket little booths at the Occulus, the new transport hub near World Trade Center. They're high on atmosphere (and generally, prices). • FAO Schwarz has a new flagship store at 30 Rockefeller Plaza, with over 20,000 square feet of toys and gifts... and yes, the dance-on piano from Big. • New York is the best shopping city on the planet... think of The Strand Bookstore, the MoMA gift shop, the Union Square market, the Brooklyn Flea... and that's not even starting on the boutiques and department stores. • Outlet villages of course offer rich pickings at any time of year – Woodbury Common is an hour from Port Authority by bus ($42 return). • Next year, a huge new ‘Empire Outlets’ will open on Staten Island, so you can combine a visit with the free ferry and skyline views. • Boom! This is an iconic NYC sight; count your lucky stars if you catch it. • The Wollman rink offers a cheaper (and larger) ice-skating alternative to the Rockefeller Center, with rates from $12/$6 (wollmanskatingrink.com). • Yes, it's touristy, but if you abandon yourself to a carriage ride, the romance soon seeps in. Expect to pay around $55 (+tips) for 20 minutes. • Central Park is enormous, so don’t try to see it comprehensively on foot. Rent a bike, or grab a pedal-cab and pick your stops – they range from Strawberry Fields (the John Lennon memorial) to Gapstow Bridge and the Central Park Zoo. • See centralpark.com and centralparknyc.org for more. • The city's perennial Christmas staple is The Nutcracker, performed by NYC Ballet since 1954, at the Lincoln Center. Despite its longevity, the show wasn't an immediate success, but a televised version in 1958 brought the magic into people’s homes... and a classic was born (lincolncenter.org). • Family shows on Broadway include Frozen and Wikced, with perennial favourites including The Lion King, School of Rock - The Musical and Aladdin. Expect to pat from $59 or so for tickets. • For same-day discounts, see the TKTS booth (tdf.org) on Times Square. • Before you travel, watch a classic. You'll be chomping at the bit. • If Elf (2003) isn't your No.1 Christmas movie, then you're a cotton-headed ninny muggins. It sees Will Ferrell save the Christmas spirit with adventures in the Empire State Building, Rockefeller rink and Central Park. Elf now plays as a musical at the New York City Theatre (newyorkcitytheatre.com). • Miracle on 34th Street (1947) is a Macy’s staple in monochrome. 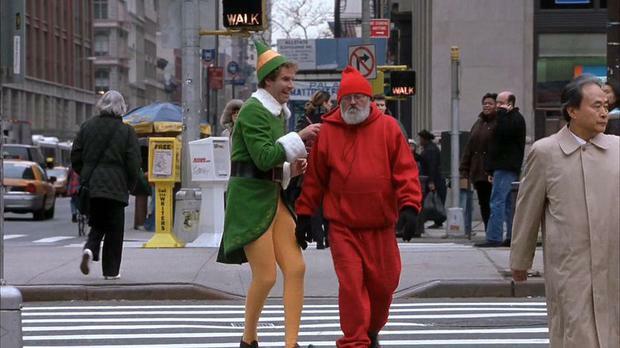 Santa always rides at the end of the Thanksgiving Parade. • Home Alone 2 (1992)... Macaulay Culkin is New York during Holiday Season. What could possibly go wrong? A young(ish) Donald Trump makes a cameo. • NYC ain’t cheap. The exchange rate isn't doing the euro any favours as I write (€1=$1.13), there's an 8.875pc sales tax on most purchases, and you need to factor tips of 15-20pc into any meals you eat, taxis you take or services you avail of. It adds up, so have your budget worked out in advance. • Don’t underestimate the size of Manhattan – get to grips with the Subway as early as possible, and use a metro card (7 days unlimited travel, $32). • The CityPASS (citypass.com/new-york; $122) offers a 42pc discount on six of the Big Apple’s biggest attractions, including the Met and 9/11 Memorial & Museum. • I travelled with American Holidays (americanholidays.com) on this trip, staying at the Hotel Metro (hotelmetronyc.com). 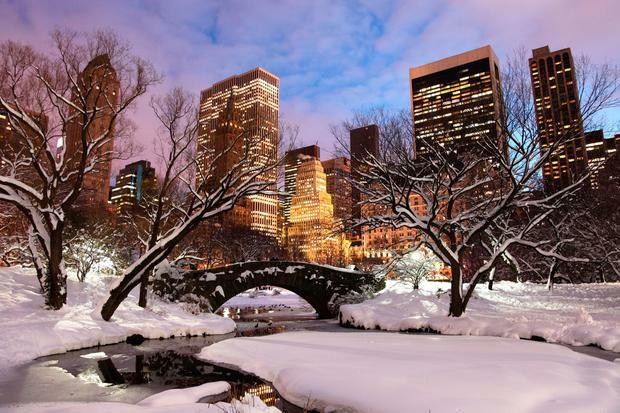 It has winter breaks including flights and three nights in a 3-star hotel from €579pp in January - by my reckoning the cheapest time of year to visit new York. • More on that here: The cheapest time to visit New York? January also sees the next New york Restaurant Week (Jan 22 to Feb. 9; nycgo.com). • See nycgo.com/holiday for more New York Christmas tips.